Under Armour released a new shoe, the Hovr, in February. The shoe’s sales have surpassed expectations, Under Amour executives told analysts in a conference call on Tuesday. Under Armour COO Patrik Frisk told analysts that Hovr was “one of the new strong platforms for Under Armour going forward,” and that they should expect more of it from the brand. While the Hovr is sold out everywhere, the brand still struggles with excess inventory problems. Under Armour is hoping Hovr can lift it above the competition. The company’s executives told analysts on its quarterly earnings call Tuesday that the shoe platform, which launched in February, has surpassed expectations. The “strong platform has resonated with consumers,” COO Patrik Frisk said on the call, noting its global success. 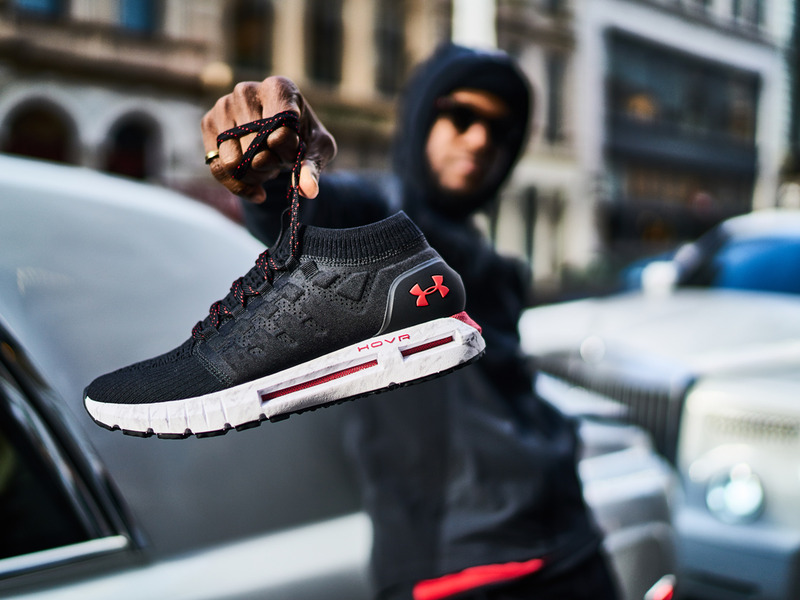 Frisk called Hovr “one of the new strong platforms for Under Armour going forward,” and told analysts to expect the company to iterate on it with new shoes in the future. Hovr has “lots of runway and lots of legs,” Frisk said. CEO Kevin Plank called the shoe “a first step” in its new focus on innovations that can make athletes more comfortable and perform better. The shoe has a new foam with an “energy web” that provides both a “zero-gravity feel” (hence the name) and energy return for runners. The global release of the Hovr shoe was somewhat flashy compared to Under Armour’s previous events. It included the biggest and most expensive product marketing campaign the brand has ever done, Adrienne Lofton, Under Armour’s senior vice president of global brand management, told Fast Company. The Hovr is now mostly sold out, which Frisk noted is “not such a bad problem to have.” Indeed, Under Armour is having the opposite problem with the rest of its inventory, as unsold apparel and shoes from last year is piling up. Plank assured analysts that though 2018 would be “challenging” like 2017 was, the company is making progress. Excess inventory is expected to be cleared by the end of the year. “We’re playing the long game,” Plank said.